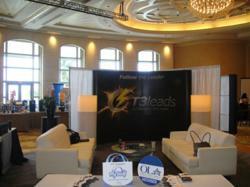 Affiliate Network Leader, T3Leads was an attending sponsor the the Oonline Lender's Alliance Fall 2012 Conference in Miami. Payday loan affiliate network leader, T3Leads was an attending sponsor as the Online Lenders Alliance (OLA) held its semi-annual conference in Miami September 19-21, 2012. Representatives of T3Leads included Regional Product Manager, Monika Wylie, Business Development Manager, Morgan Gethers and Senior Product Manager, Hiko Akopyan. The trio held a series of meetings with lenders and affiliates who included both current and potential clients. The conference was entitled “Leadership + Innovation” and focused on “Enhancing the Customer Experience.” T3Leads is a member and strong advocate of OLA’s mission of open and superior customer experiences in the short term lending industry.